Lovesick, the visual novel game where you play the lead role! If you like to read, then things just got a whole lot better! See potential lovers and jealous rivals come to life in our originally-written, interactive books with exclusively female lead characters! Customize your reading experience by choosing YOUR style, YOUR relationships, and YOUR destiny! -Your ideal partner: Gentle billionaire, bad girl vampire, or arrogant prince? -Put your flirting skills to the test! -Say YES to your desires in the original interactive stories of Love Sick! In the world’s most elite university, where people and vampires from high castes are rumored to learn side by side, every 20 years there is the Royal Ball. Girls from all over the world dream of being there, but only one is destined to outshine everyone with her beauty and uniqueness. Many years ago the royal family was murdered by an evil witch. At that moment, time stopped all over the kingdom. 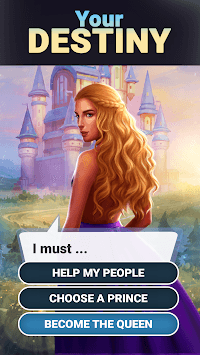 Hidden among the peasants, a true princess must discover herself. High-profile billionaire David Corbell is getting married soon. New York press calls his upcoming wedding ‘the event of the year’, but is his fiancé really as sincere as they say? A beautiful spy goes undercover, and soon finds herself on the romantic adventure of a lifetime. 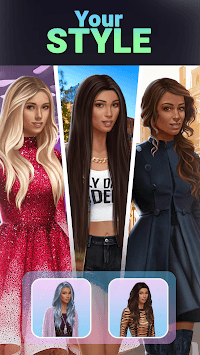 - New chapters: Pretty Spy, Vampire Ball, Princess Diana! - We make updates weekly. ROMANCE, DRAMA, & FANTASY!